Welcome once more to Wedding Wednesday! 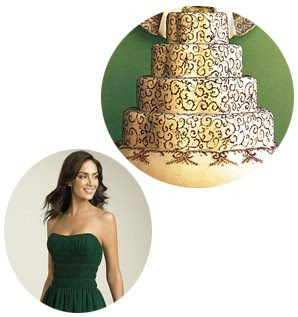 This week Rebecca of Tastefully Entertaining and I selected a gorgeous green and gold engagement party invitation - perfect for a late fall or holiday event. I have to admit, I was not sold on this colour combination until the inspiration board starting coming together. Now I have a new found appreciation for this glimmering palate. 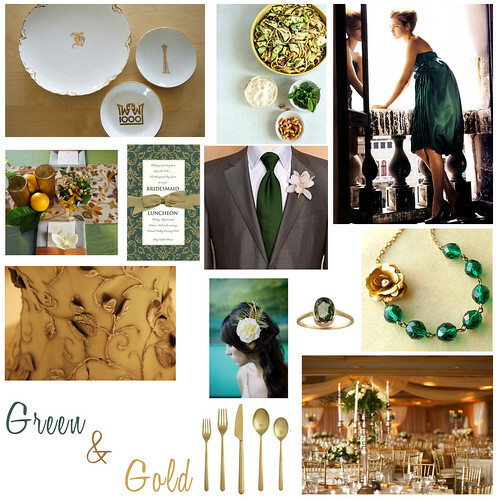 Be sure to visit Tastefully Entertaining for Rebecca's take on today's green & gold engagement party. I am just in love with her board. It was hard to pick what I liked the most about it, but I have to say that her choice of dress and dessert - well, they take the cake!